In America in the 1740s, a religious revival movement called the “Great Awakening” swept through the colonies. Highly emotional revival services led by evangelical protestant ministers were all the rage, and attracted thousands. The preaching emphasized the total depravity of humanity, and our utter dependency on completely unearned and unearnable grace from God to save us. The split in the congregational church between the liberals who urged the discovery of truth through reason and who had a higher opinion of the goodness of human nature, and the conservatives who claimed an emotion-based revelation, gradually intensified through the late 1700s. The name “Unitarian” stuck – even though Unitarianism rather than trinitarianism was merely one conclusion of reason that many of the liberals shared. “Unitarian” is our name, but rejection of the trinity is an incidental – almost accidental – by-product of what this religious movement was, and remains, really all about: freedom, reason, and tolerance, and faith in our capacity to develop goodness. This is the faith of our fathers. It used to be that Father’s day in this country was the day that more collect calls were made than any other day. Phone systems are different, and collect calls are unusual these days. Still that tells you something. We call Mom on mother’s day and call Dad on father’s day – but we’re more likely to let dad foot the bill. When you got your learner’s permit, was it your Dad who took you out for the driving lessons?And did he hop in the back seat, saying, “ah, now it’s my turn to kick the back of the seat while you’re trying to drive”? Spread the diaper in the position of the diamond with you at bat. Then, fold second base down to home and set the baby on the pitcher's mound. Put first base and third together, bring up home plate and pin the three together. Of course, in case of rain, you gotta call the game and start all over again. In our culture, the father is a figure regarded with some ambivalence and tension. There is often something unresolved there – something still in need of working out. Fathers so often somehow go wrong, and, speaking as one, we do so many different ways. Connecting with our Fathers is, for many of us, a deep longing. 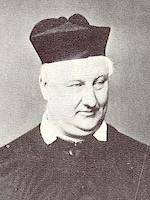 So when the Catholic hymn writer Frederick Faber, composed “Faith of our Fathers” in 1849, he was bringing together the urge to connect with the divine with the desire to connect with and uphold and be true to the values and vision our father’s represented. Faber’s conception of the faith of his fathers is somewhat different from the faith of our fathers. Our Unitarian and Universalist faith flows from many mothers and many fathers. The mothers of our faith are equally important, though their names are less often repeated. Today, on this Fathers day, my focus is on the Unitarian father figures: William Ellery Channing, Ralph Waldo Emerson, and Theodore Parker. Channing, Emerson, and Parker may be singled out for laying the foundation for the work Unitarianism has continued to build upon. William Ellery Channing was 25 years old in 1805 when the Unitarian controversy that had been simmering for decades exploded into much higher levels of passion and anxiety. What happened in 1805 was that Harvard appointed Henry Ware as the Hollis Professor of Theology. It’s hard to imagine today that much of Gainesville would care who the University of Florida appointed to an endowed professorship – of theology or any other subject. But in 1805, people took theology – and the theological preparation of their ministers -- very seriously. Henry Ware was a Unitarian, and for him to occupy the chair of theology was threatening indeed to the conservatives. For the next 14 years, William Ellery Channing worked hard at patching things up among all Congregationalists. Finally, in 1819, he gave that up – and joined with those had been arguing that the Unitarians should go their own way. The fledgling denomination needed a manifesto, and Channing provided it. Leaving Boston, a group of the religious liberals traveled down to Baltimore with the plan to use Channing’s sermon at the ordination of Jared Sparks as the platform for launching a Unitarian manifesto. Channing proceeded to apply his reason to the doctrine of the trinity, and argued that it was inconsistent, polytheistic, without scriptural basis, and unfavorable to devotion. Under trinitarianism, Jesus is God, in one of God’s three persons, so a Unitarian position must describe a different status for Jesus. For Channing, Jesus was not God, but was sent by God as a special mediator and instructor. To fulfill this role, Jesus was invested with special powers that included raising the dead and judging the world. In contrast to theologies of a stern and vindictive Father figure, Channing’s God was good, kind, merciful, and benevolent. The Bible, argued Channing, was not God’s word in a direct and literal sense, but was a book written by people, in the language of people, and its meaning is to be sought in the same manner as that of other books – that is, through the application of rational interpretive tools. Channing’s “Unitarian Christianity” sermon was the first of three significant foundational documents in our early history. The second came 19 years later. It was Ralph Waldo Emerson’s Divinity School Address of 1838. So Emerson did indeed become a powerful Unitarian voice by leaving Unitarian ministry. Six years later, at the invitation of the divinity school’s graduating class, Emerson returned to his Harvard, his Alma Mater and the center of Unitarian thought, to deliver the Divinity School Address. Emerson’s address spoke to the failures of historical Christianity – yet he was surprised by the storm of negative reaction. According to Emerson’s Transcendentalist approach, moral intuition was a better guide than religious doctrine, and, anticipating the themes of his “Self-Reliance” essay, Emerson said true moral sentiment – indeed, divinity – resides in each individual. Spiritual experience must connect with the natural world around us, and it must be personally felt rather than cognitively explained. And, for Emerson, neither moral intuition nor spiritual experience required belief in the historical miracles Jesus supposedly performed. Channing had not doubted that miracle working was a part of the special mediator role Jesus had been sent to fulfill. Emerson was going much farther: saying that Jesus had no special divinity in himself – the same divinity that was in Jesus is in all of us. Jesus simply had a capacity to be “true to” his divinity to a greater extent than anyone else. 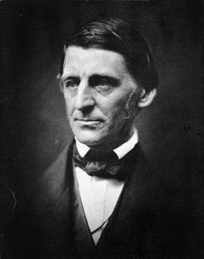 The Unitarian establishment of New England and of the Harvard Divinity School was appalled and rejected Emerson’s teachings outright. Yet some students were secretly attracted to Emerson’s views – and over the next years gradually began to come out of the closet and say so. While Emerson left Unitarianism for Transcendentalism, Theodore Parker brought Transcendentalism explicitly within Unitarianism. Despite some efforts to encourage his resignation, Theodore Parker spent his adult life and career as a Unitarian minister. Theodore Parker's 1841 sermon, “The Transient and the Permanent in Christianity,” said explicitly what Emerson had left implicit. While Emerson had said belief in Jesus’ miracles was unnecessary, Parker outright disbelieved in them. Rather, he said, each moment on this earth is itself as miraculous as it is possible for anything to be. The truths of religion and morality are founded on immediate intuition of the divine, and each person bears an innate faculty for direct apprehension of absolute truth. For Parker, the permanent in Christianity was the pure religion that Jesus taught, and which any great teacher might have discerned. Nonessential, according to Parker, were beliefs in the divine origin and authority of the Bible, and in the nature and particular authority of Christ. The faith of our fathers then requires of us no particular doctrine, but does require that you use your reason and your experience and the dictates of your conscience to decide upon your own theology. More, it asks that you actually live by that theology. You are asked to take your chosen faith very seriously. We are the religious and spiritual daughters and sons of Channing, Emerson, and Parker – as well as of luminaries on the Universalist side of our family tree. A few of us are their descendents by birth; most of us here are Channing-Emerson-Parker’s adopted children: you were adopted by them when you signed our membership book. 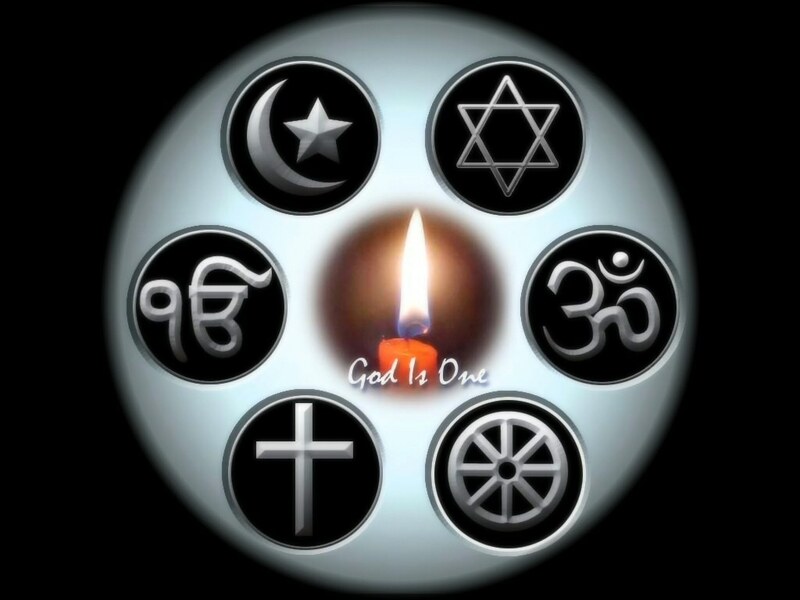 We are Christians, humanists, Jews, Buddhists, pagans – which is to say that our belief, or our primary source of inspiration, or our spiritual practice is or derives from the Christian, humanist, Jewish, Buddhist or pagan traditions. Whatever our diverse theologies and practices may be, the faith of our fathers lives in our commitment to inclusivity. The original Unitarian insight that God is One remains with us long after setting aside sectarian and silly quarrels over the trinity. If God is One, then the God of the Jews and the God of the Muslims and the God of the Christians is One.If God is One then the Cosmos of Carl Sagan, and the earth ecology of Aldo Leopold, and the oneness and emptiness of Siddhartha Gotama, and the flowing way of Lao Tzu are one. My colleague, Rev. Marilyn Sewell, one evening was called to the hospital to be with the mother of a two-year-old child who had tragically died from choking on a piece of chewing gum. The mother, a Unitarian Universalist, was estranged from the child's father, who was of another faith. The mother’s Unitarian Universalist minister, on the way out of the hospital, found herself in the elevator with the father’s minister. Rev. Sewell, the UU minister, said, "Well, we can do the memorial service together." The other minister said, "No, we can't. We don't worship the same God." The source of mystery and meaning is one. The origin from which we, and all that is, come is one. The final basis for values and commitment the contemplation of which cultivates well-being, humility, peace, and an ethical vision is one. That Unitarian faith of our fathers lives in our fidelity to inclusivity: Whatever your beliefs, whatever your spiritual discipline, whatever texts you most often turn to for spiritual insight and uplift, we can walk together, we can befriend and teach and learn from each other, as we each seek to live from a wider love, a deeper wisdom, and a fuller joy. I’m not saying that the Catholic Transubstantiation Principle and the Heisenberg Uncertainty Principle are the same, but we can recognize that both are deeply mysterious and that either can awaken wonder and awe – and we can be together in community in which we are enriched by sympathetic understanding of our different understandings and encourage each other to the latent wisdom in each. In other words: I don’t have to believe in transubstantiation myself in order to engage with someone who does and to sympathetically explore with them what way of life follows from understanding that wafer to be the literal body of Christ. For we all walk in a reality we but dimly apprehend, whether we call that mystery God’s will or quantum indeterminacy, or wormholes or string theory. Here we do not demand of each other that we share a common doctrine or a common spiritual practice or common texts. We do demand that you take seriously the job of deepening, that you bring your reason and your intuition to the task, that you participate in helping the others with whom you are joined in this community to also deepen in their path. Our commitment to freedom, reason, and diversity also means that, for us, revelation is not sealed, never static, always unfolding. Our views are always tentative, our claims always provisional. No assertion can ever be permanently exempt from revision. Religious understanding, like empirical knowledge, is a self-adjusting enterprise that can put any claim in jeopardy (though not all at once). We do not stand upon a foundation of certainty, but swim within a rising tide of growing knowledge. So the truth that I embrace today may not be the truth I embrace tomorrow. Our part is simply to be open, and thirsty, thirsty for the truth that would be ours -- but just for the time being. Such a stance keeps us humble -- and awake. Channing and Emerson and Parker – our Unitarian fathers, spoke at a time when men’s voices were much more readily accepted and taken seriously than women’s voices. And we know that each of these men was heavily influenced and encouraged by the women in their lives. That said, there is a certain male energy in their call for reason, and for the authority of the individual. It needs the balance of a more female energy or relationship – the energy of conversation as opposed to the energy of public speaking – an ethic of care to balance the ethic of justice. For that very reason, the faith of our fathers may be a little more difficult to connect to. Yet it, too, has shaped us. Not all of us, certainly, but many of us will recognize these phases: (1) As teenagers, many of us, became convinced that our father’s didn’t understand us at all – and we were angry about that. (2) Then we came to see that they understood more than we had given them credit for. (3) Then as we grew into our 30s, we developed and deepened into lives and understandings so distinct from our fathers – and they really didn’t understand us. There was much about our lives that was inexplicable to our fathers, though instead of anger, we may have had an acceptance of that. There is much about Unitarian Universalism today that Channing, Emerson, and Parker could never have imagined. The prominence of women in congregational leadership – and our open acceptance of lesbian, gay, bisexual, and transgender members and leaders – would have struck them as surpassing strange. They would be gratified that we ended slavery and integrated our schools – and would be mystified at the ongoing difficulties we’re having of recognizing kinship across racial lines while also respecting difference. Our talk of multiculturalism they would not have understood – just as, for some us, our actual Dads don’t understand it. Emerson, at least, would have been glad to see our growing interest in spiritual connection to nature. Our frequent references to sustainability, however, would be a strange twist to him, because, for Emerson, part of the strength of the spiritual connection to nature was a sense of its boundless and infinite provision. In sometimes startling ways our fathers do, or did, see right through us, really had us pegged, saw things about us that we didn’t like to admit about ourselves. In other ways, we became beyond their ken – just as our children are or will be beyond ours. We are living out the development of the tradition they gave us – living it out in ways they could not have foreseen and would not have entirely approved. We are selective in what we take from them as worthy of continuing, yet even our largest differences from them are possible only because they prepared the way. We find our forgiveness in our capacity to forgive them, and our capacity for gratitude. Preached at the Unitarian Universalist Fellowship on 2011 Jun 19.